What do we do when we see a pattern on the street? Do we take a picture? Do we admire it? Or do we just pass by it and ignore it? Creative people take a small detail and convert it into something great, something that grabs our attention and transmits positivism. 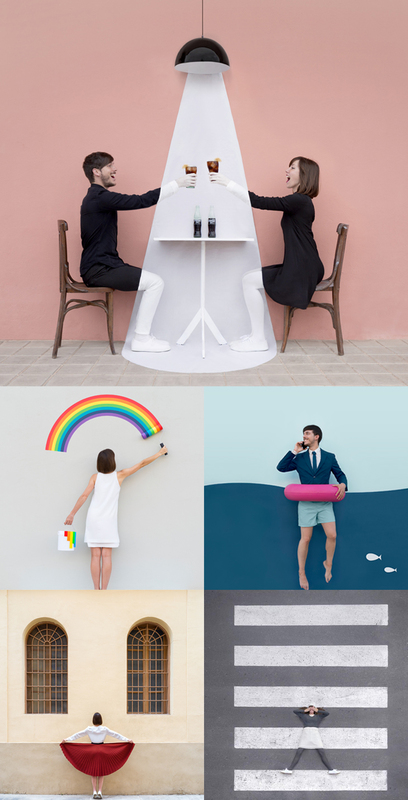 Daniel Rueda (also known as Dr. Cuerda) and Anna Devis take the streets and their interesting patterns to show us a playful and creative side of small details. These Valencian designers create playful and harmonious photographs by using buildings, patterns and colors as their main visual. Rueda and Devis share their work on Instagram and you can take a look at their inspiring work by searching for them as @drcuerda and @anniset.